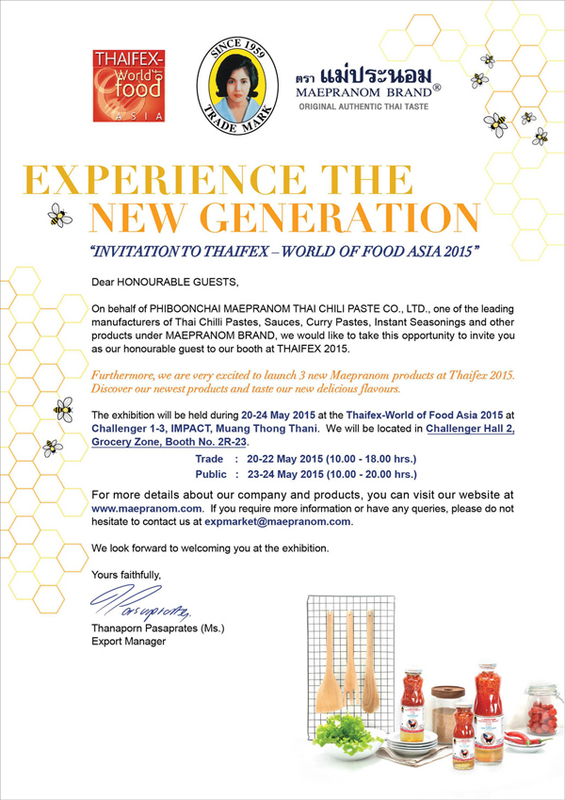 The exhibition will held during 20-24 May 2015 at the Thaifex-world of Food Asia 2015 at Challenger 1 - 3, Impact, Muang Thong Thani. We will be located in Challenger Hall 2, Grocery Zone, Booth No. 2R - 23.